The Hartford Pool Table by Presidential Billiards possesses an elegant design, from its generous, tapering legs, to its raised panels and hand-carved detailing. The transitional styling will allow this table to fit seamlessly into nearly any décor. The Hartford Pool Table is crafted from African Mahogany, is finished in a lustrous Mocha stain and has a hand-rubbed catalyzed lacquer varnish. An ingenious detail to the Hartford Pool Table is the convenient built-in drawer which is capable of housing all of your billiards accessories. 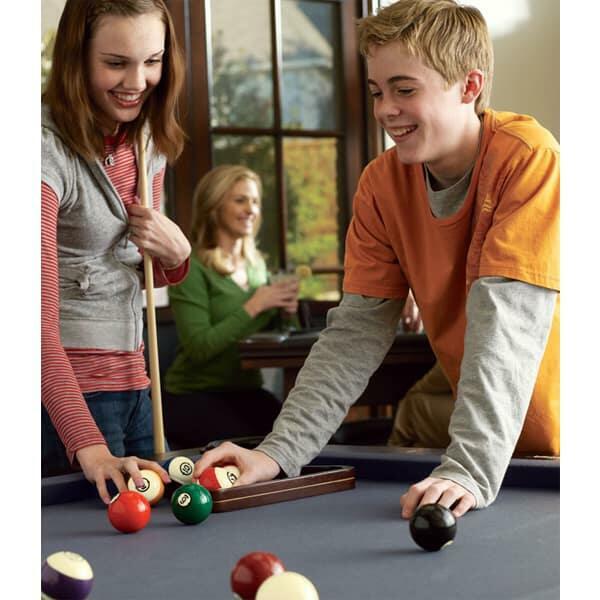 The Hartford Pool Table offers an exceptional playing field as well, with wide top rails, diamond sights, rubberized rebound cushions and a level 1” thick 3 piece framed slate playing field. 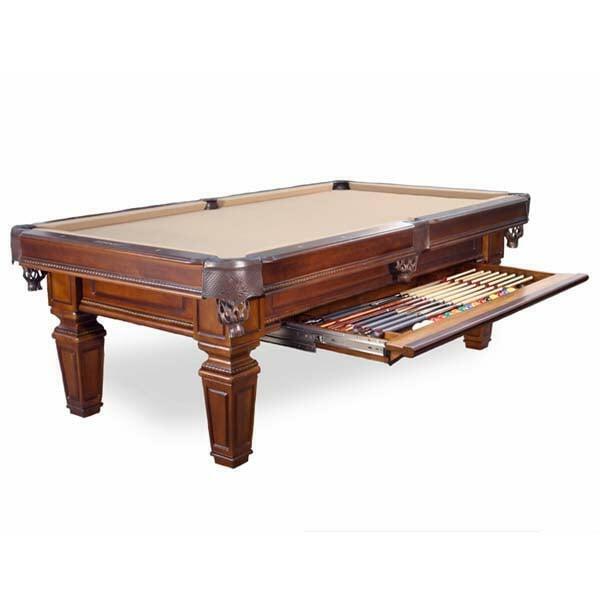 Enhance your décor and your game with the Hartford Pool Table by Presidential Billiards.